Women have been giving birth naturally for thousands of years – but it makes sense to be as well prepared as possible. The EP Birth and Labour course brings together experienced Mums and top experts from across the UK – Consultant Obstetricians, Midwives, and Doctors – to answer all the questions you had thought of and those you hadn’t thought of yet… Where should you give birth? Can you have a natural birth if you had a C-section before? What’s a natural C-section? What are the pain relief options available? 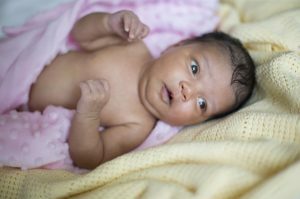 Are home birth or a hospital birth? Why it’s a good idea to delay the cutting of the cord…. and many many more… The content in this section has been advised by UNICEF UK Baby Friendly Initiative. How has birth changed through history in the UK? What is a midwife-led birth unit (MLBU)? What are the options with a hospital delivery unit? Will I be a good mum to my baby? How do I write a birth plan and what is its purpose? Who’s who in your birth team? Does a baby’s position – or the number of babies – make a difference to labour presentations? What are the different pain relief options available? What is a high-risk birth? Why might a birth need assistance? Can I be injured during birth? What are the dangers of going overdue? What are the pros and cons for having an induction?